Victoria Road residents are proud of where they live but recognise there’s room for improvement according to a recent survey. 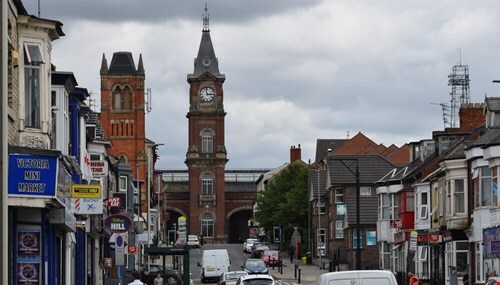 Darlington Borough Council (DBC) commissioned Groundwork North East and Cumbria to carry out some work with residents and businesses in the Victoria Road area of the town to find out how it could be transformed. The consultation was carried out as part of DBC’s ambitious plans to develop Darlington train station. Victoria Road has been identified as a key street as it links the station with the town centre. During the consultation which was carried out in November and January, the amount and speed of traffic and the lack of a cycle lane a problem was felt to be an issue. Residents also recalled when the Victoria Road area had been a community with local shops and services with many saying they would like to see a wider variety of shops introduced along with more green spaces and action taken to make the area feel safer. DBC is now using the findings of the report to explore which of the elements had public support and could be taken forward. The designs will be presented back to local residents and businesses later in the year for their views. Assistant director for transport and capital projects, Dave Winstanley said: “It’s great to hear those living and working in the Victoria Road area are proud of where they live and are also keen to get involved in shaping the future of their area. “The consultation has given us real food for thought. We’ve been given some clear direction and although some of the ideas discussed won’t go ahead we will be developing ideas that were well received. A one-way system on Waverley Terrace for example will not be explored any further as this did not have public support. The full report from Groundwork North East and Cumbria can be found at www.darlington.gov.uk/your-council/consultations and a paper copy is available to read at the town hall.